Candidates PSSSB Recruitment Age Limit Should be between 18 to37 Years. For more details please refer official notification for the PSSSB Recruitment 2016 which is provided by us in given below links. 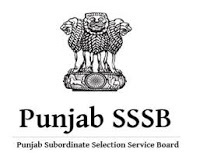 Note: For full details of PSSSB Recruitment 2016 Notification Age, Educational Qualification, Pay Scale, Selection process, click on below links.